Four master-classes will be held prior to the Forum on 17 April at Park Inn Hotel. 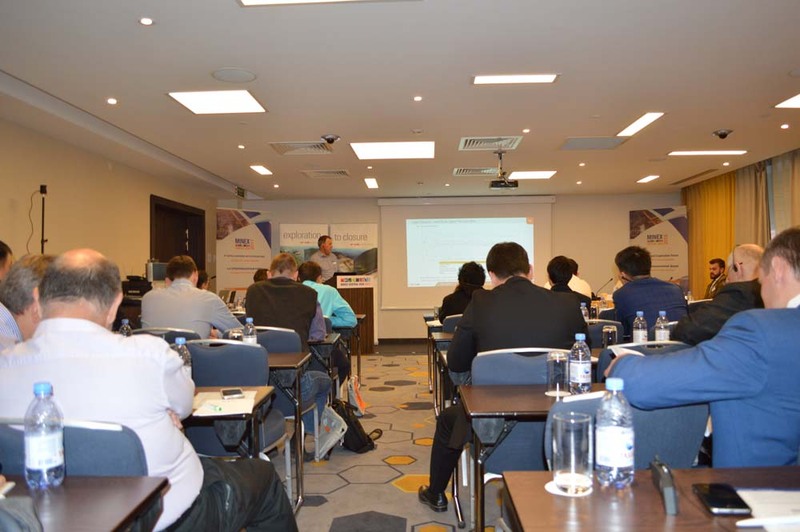 Local and international mining companies operating projects in Kazakhstan and Central Asia are inviting to participate. The workshop will acknowledge Kazakhstan’s aspirations to become one of the top 30 global economies by 2050 and steps that it is taking towards a more sustainable model of development. In this context, it is recognised that best practice mineral waste management in the EU and other OECD countries is of interest to the mining industry in Kazakhstan. • Mineral waste management aspirations – future visions for mineral waste management that are emerging in OECD countries, based on “green economy” and “smart green mining” concepts, and current best practice mineral waste management as defined in the EU. • Mineral waste characterisation – the EU approach to waste characterisation (which is being considered for introduction in Kazakhstan, according to the Kazakhstan Green Concept Policy), and the challenges it presents for mine waste characterisation, and how waste characterisation is critical to the design of mines and waste management in OECD countries. • Engineering to meet best practice requirements – realistic engineering solutions to meeting these requirements in Kazakhstan. • Engineering to ensure safety of tailings storage facilities – dam breach incidents around the world emphasise a need for a more thorough approach to safety, this session will focus on requirements essential for ensuring safety during operation and closure, including foundation and tailings characterisation, design methods, construction quality assurance and geotechnical monitoring. Presenters Kris Czajewski, Principal Geotechnical /Tailings Engineer, SRK Consulting (UK) Ltd.
Carl Williams, Senior Environmental Engineer, SRK Consulting (UK) Ltd.
Summary Low carbon society means high polymetallic society and it implies high share of renewables and energy storage in the mining industry. Energy intensity due to decreasing ore grade will challenge mining worldwide. Renewables are reducing power cost and emerging as one of the best allies to miners, not only in term of power costs but in GHG emissions mitigation and Social Licence fulfilment. We will make a trip to five continents analysing models and examples of how renewable energies and energy storage are characterising the new mining of the XXI century. Diamond mines in Canada, copper in Chile, zinc in Peru, aluminium smelting in Iceland, coal in India, platinum in South Africa or gold in Australia. Finally, we will analyse how online training will become one key to overcoming the knowledge gap in mining companies and universities adopting this new scenario. Time to build the low carbon mine has arrived. Summary In recent years, the International Council of Minerals and Metals (ICMM), the International Petroleum Industry Environmental Conservation Association (IPIECA) and many major mining, oil and gas organisations have identified fatigue & human performance as a critical material risks affected health, safety and production. Both fatigue & human performance are inherent to all organisations; in remote operations, control rooms and within corporate centres. In this master class we will address the components of an “Alertness and Productivity Model” now been considered within organisations to reduce these risks. Such an approach incorporates; compliance & regulation, scientific data analysis and technology solutions that supports safeguarding of health & safety to maximises productivity whilst reducing cost. The optimisation of human performance in conjunction with strategic asset management based upon the mine planning process has the potential to unlock triple bottom line (Economic, Environmental, Social) business value.